There’s something about a bad breakup that sends me spiralling out of control into…..everything girly. I don’t know what it is. But I kind of like it. Instead of sitting in the shower bawling my eyes out, I’m painting my toenails a lovely shade of coral. Instead of drowning my sorrows in a glass of wine, I’m falling in love with love all over again with Nora Ephron films. Instead of listening to sappy love songs on repeat, I’m shopping for a sassy little pink dress. There is comfort and hope in beauty. And I’m damn well going to have my fill. So. What do you say? Shall we cozy up here a while? Shall we eat macaroons and sip lemonade? Shall we read Bridget Jones’s Diary or Sense & Sensibility? Let’s. This weekend was a sleepy weekend. I went to bed at 9 one night and 8 the next. I took naps. And in between naps, I read. Sometimes a girl just needs her rest. And while I know I’m very well rested, I’d rather be tucked into bed than sitting in an office chair. Oh stress, why do you rob me of precious slumber? Lately I’ve been waking up at an ungodly hour (this morning it was 5:30 a.m.), sick with worry. I never do this. No seriously. I usually sleep like a baby. It’s funny what stress will do to you. 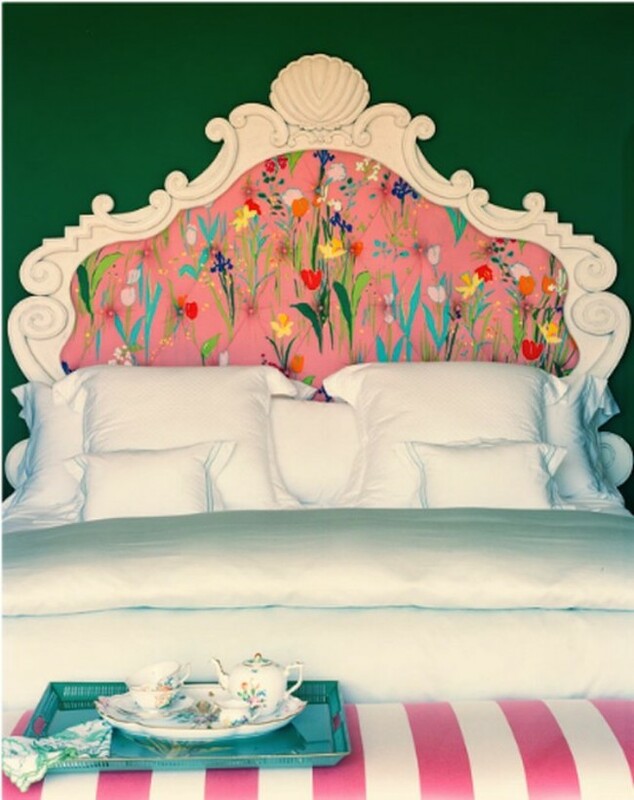 I think what I need to do is take a giant chill pill (preferably gulped down with some lemon water) and then I need to take a giant nap (preferably in this bed). Hello friends! How was your weekend? I spent 60 delicious minutes getting a massage at the spa. It was soothing. And necessary. And I plan on doing a lot more primping and pampering over the summer. Nothing says “I love you, self!” like a trip to the spa. I spent the rest of the weekend spending time with family and friends. Then I plopped myself down and found myself immersed in The Forsyte Saga. It’s essentially about a feuding family that goes out of its way to harm eachother and instils in its children that the only way to really love someone is via adultery. It certainly didn’t lift my spirits, but it’s a period piece so naturally I couldn’t tear my eyes from it. And now it’s Monday. It’s dreary in Ottawa. As much as the weather is dictating that I should want to stay in bed and get cozy, I’m feeling restless. I long for the sun and the outdoors. Maybe a long walk and then a nap here would do the trick. Yes I think that would satisfy. Hello my doves! Sorry I’ve been amiss! I had a wonderful weekend. Ottawa was hit with a wicked thunderstorm on Friday night so I rented The Woman in Black and scared the hell out of myself. On Saturday, I got a pedicure with my bestie and we exited the spa donning lilac and strawberry tootsies. And then that night, I had a date with a firefly. Seriously, it was amazing. I sat in the hottub, sipped wine and watched this lovely little creature blink about the trees. As the weekend wrapped up, I headed to my sister’s house and babysat my fabulous niece. Libby came too and we all tromped outdoors and chased eachother around. Libby was in heaven. Yesterday I worked from home which is why there was no Bed Bound Monday post. There was only major productivity underway. And no time to be tired. But there’s plenty of time for sleepiness today. Ooosh. What a morning. I don’t think I’ve been so grateful for Starbucks before. 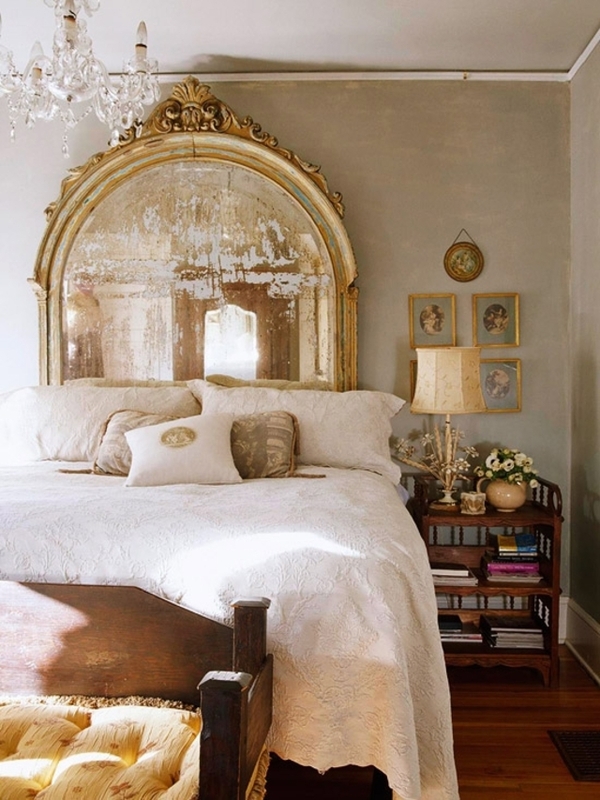 It’d be so nice if I could tuck into this bed with my java by my side. Ah well. I suppose a squeaky office chair will have to do! Have a wonderful Tuesday, my loves! Happy Monday, friends! I hope you had a wonderful weekend! 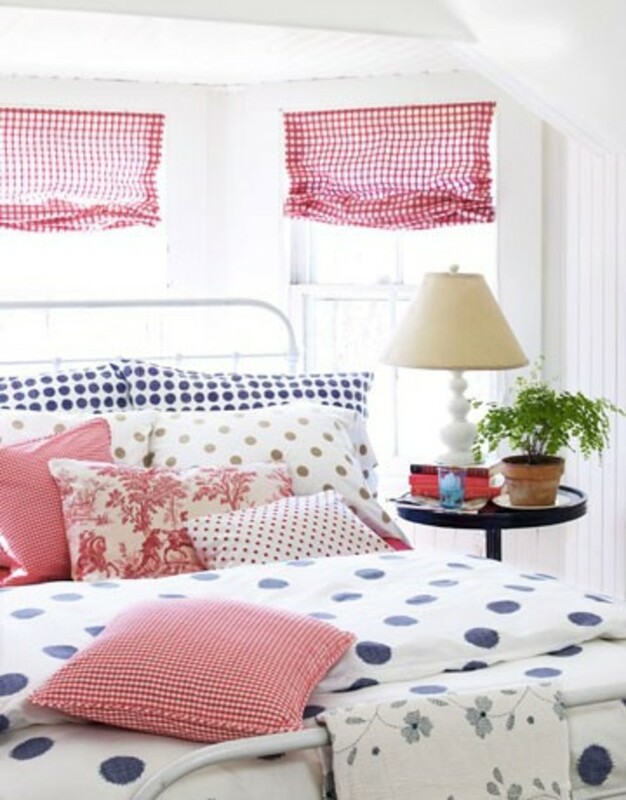 This bedroom makes me want to go on a picnic. 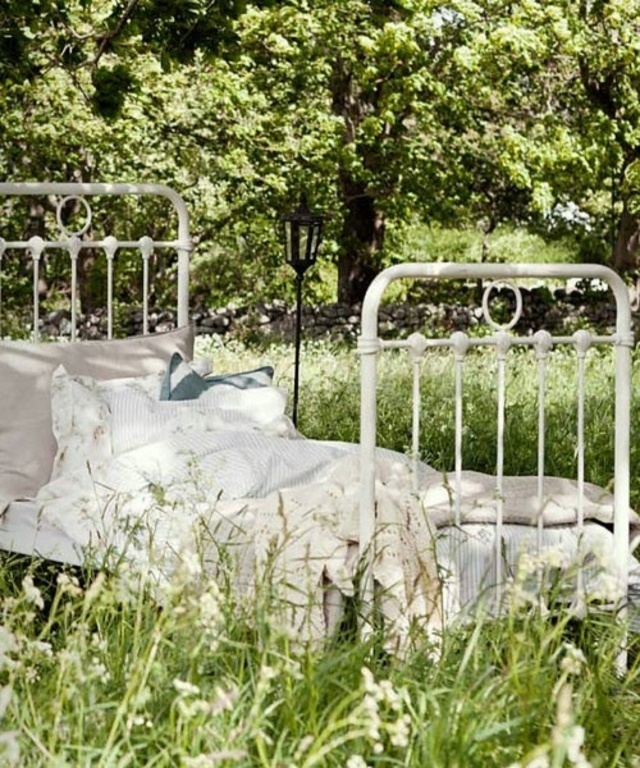 Wouldn’t it be delightful to find yourself here with a big bowl of fresh strawberries in tow? Let me say this. I just had the best birthday weekend! Amazing coworkers. Delicious italian food with my parents. Relaxing in the hot tub with a glass of wine in hand. Sumptuous brunch. Birthday flowers from the boy. And raspberry beer followed by sangria with the boy, my sister and her fiancee. It was jampacked with goodness! And now I’m sleepy! 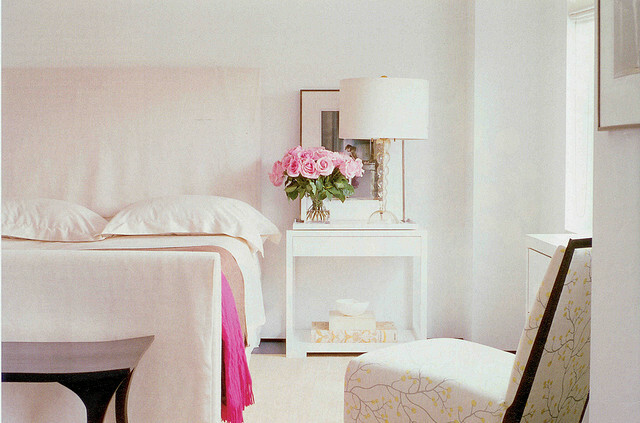 I love this pretty bedroom. 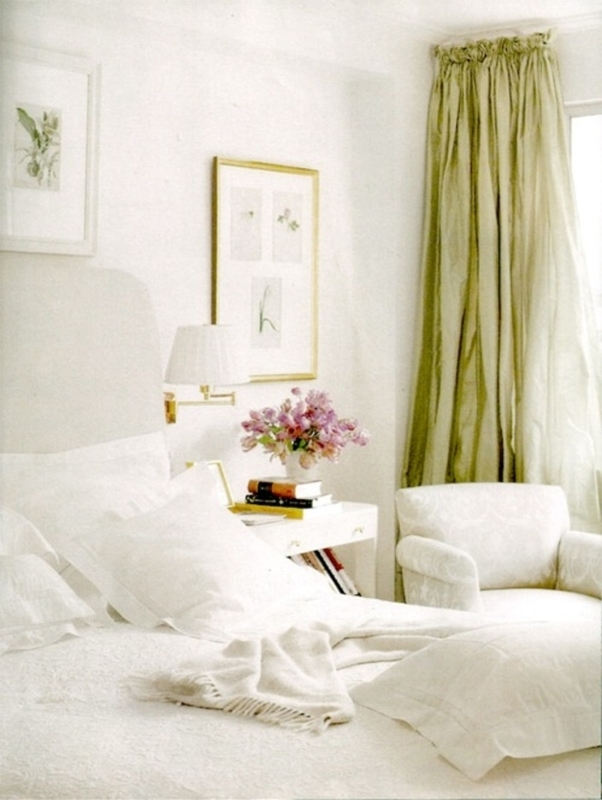 Wouldn’t nibbling lavendar lemon cupcakes while sipping chamomile tea here be divine? Good Monday Morning to you! I woke up on the right side of the bed this morning. *Bing*! Awake. And happy. I had a very productive and enjoyable weekend. Saturday morning and afternoon seemed to drag on forever as I formattied my masters. But it’s very very nearly done. And I spent the evening with some wonderful company and ate ice cream that a four year old would be proud of – birthday cake ice cream with smarties in a white chocolate, rainbow sprinkle cone. Brilliant! I spent Sunday with the cutest red head in the world – my little niece Althea! She’s got a full set of teeth now – or it certainly seems like it. (Thank God my sister isn’t breastfeeding anymore.) Love that toothy grin! And today? Today is Monday. Although I’m not having a case of the Mondays, I would love to be sitting up in bed, eating fritatta, and drinking tea.